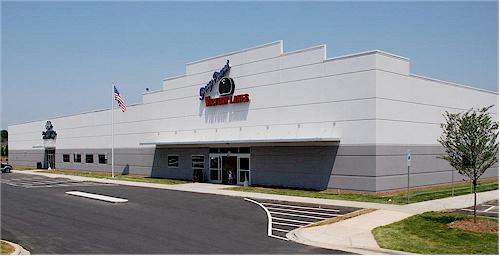 Senior Tour bowling professional George Pappas turned to S.C. Hondros & Associates, Inc. when he planned to develop a new bowling center in the Mooresville/South Iredell County area. The ownership group brought in Dallas, Texas based bowling center specialists Scheirman Associates Architects for the center’s interior design and Chas H. Sells, Inc of Mooresville, NC provided the civil design. The design team at S.C. Hondros coordinated their activities with our internal structural and building design professionals and the providers of the center’s, plumbing, mechanical and electrical design. The 48,600 sf facility features exterior insulated pre-cast wall panels to improve energy efficiency and a NASCAR racing theme throughout the interior. 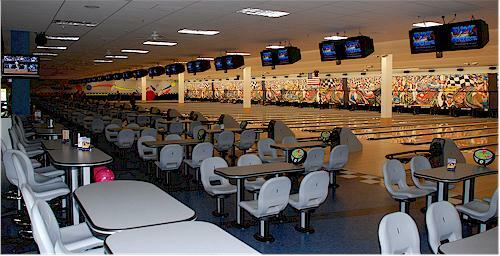 With 40 lanes for league bowling, special lighting for cosmic bowling and a bowling pro shop, the center offers bowlers everything they could want to pursue their passion. The center also houses a wide array of other entertainment choices including a large snack bar, a full service restaurant, a large full service sports bar with over a dozen pool tables, a designated area for private parties and a game arcade.